Here is an opportunity to develop your pharmacy career in world famous hospital which is the first Private Tertiary hospital to be opened under the auspices of the new standards put in place by the Health Authority of Abu Dhabi (HAAD). This is an amazing chance to give a big boost to your profession by joining hands with renowned team of health care professionals. So, don't waste your time. Simply click on the link given below and reach the job providers website. Apply directly. No money, No agency, No third party. Read all the details, apply directly, if you feel this is the right job for you. 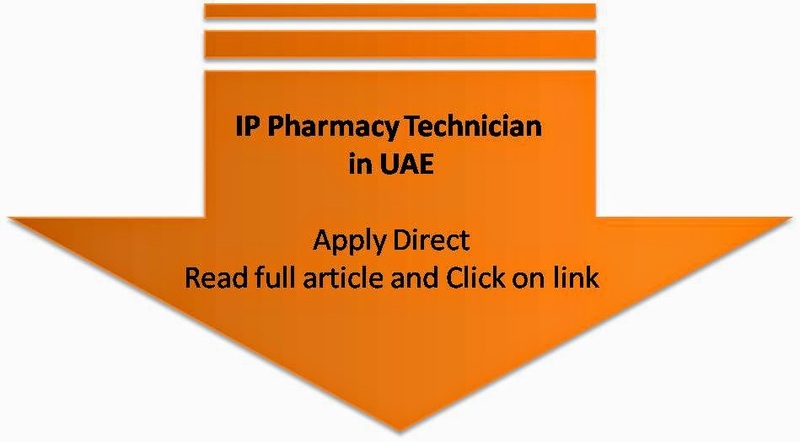 We are just informing you about this vacancy of IP Pharmacy Technician as a free information that we found recently. Click here to reach the Vacancy announcement page for IP Pharmacy Technician.